Character comes with age . . . . 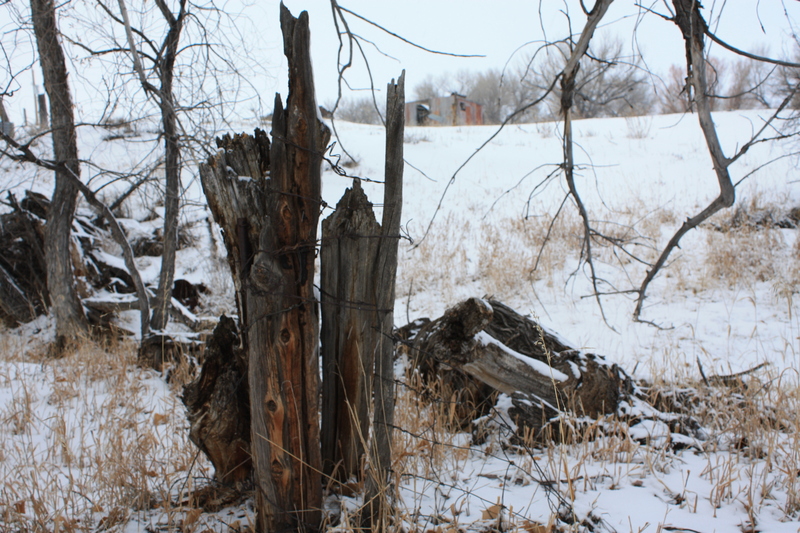 The scars on this ancient cedar fence post are reminders of early settlements along Dry Creek. Many fences, erected by homesteaders, criss-crossed the land where we reside and were built to confine cattle, horses, and sheep in pastures for grazing. These gnarled old posts are sentinels protecting the past and stand silently along our walking path, growing more beautiful with ancient patina each year. Last post standing . . . . 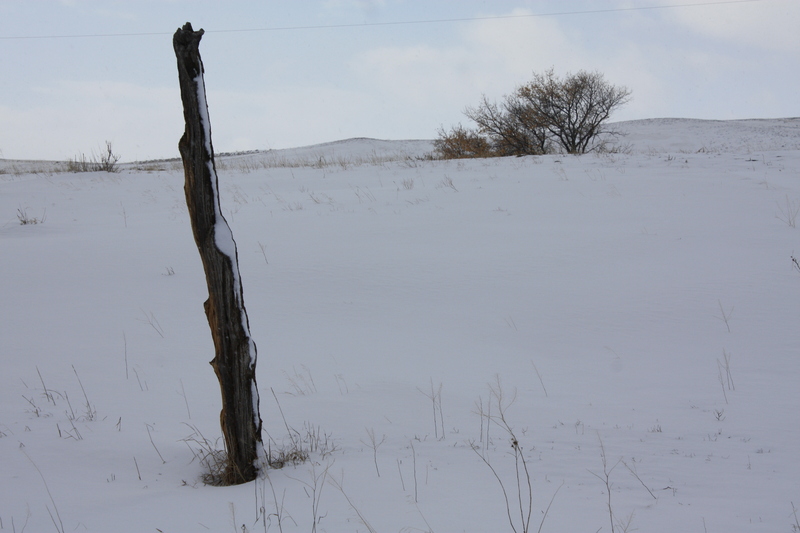 I can hear the bleating of animals, taste the dust from tractors, trucks and trailers hauling hay or grain or animals through the barnyard, coming and going from the corrals and holding pens that once connected this post to many others. 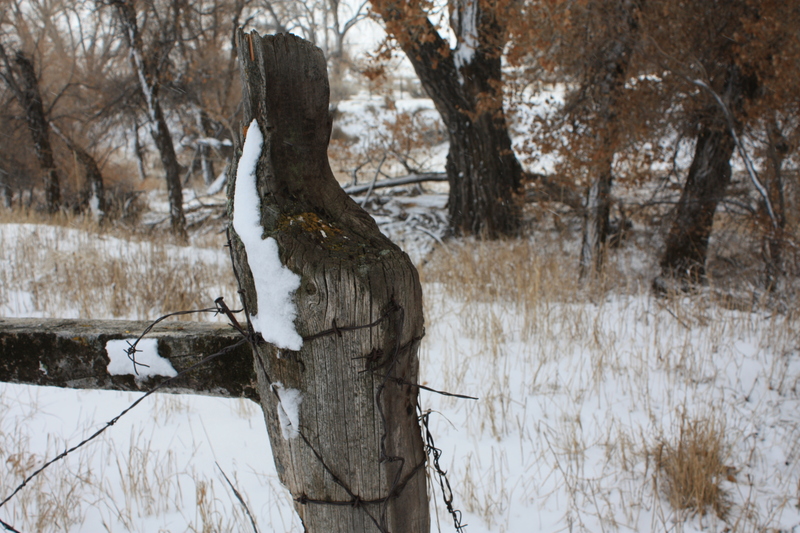 Gate post holding on . . . .
As we have cleared rusty old barbed wire and rotted posts to make safe pasture for Abe and Tillie, we have been compelled to leave the old soldiers who have endured for so long. 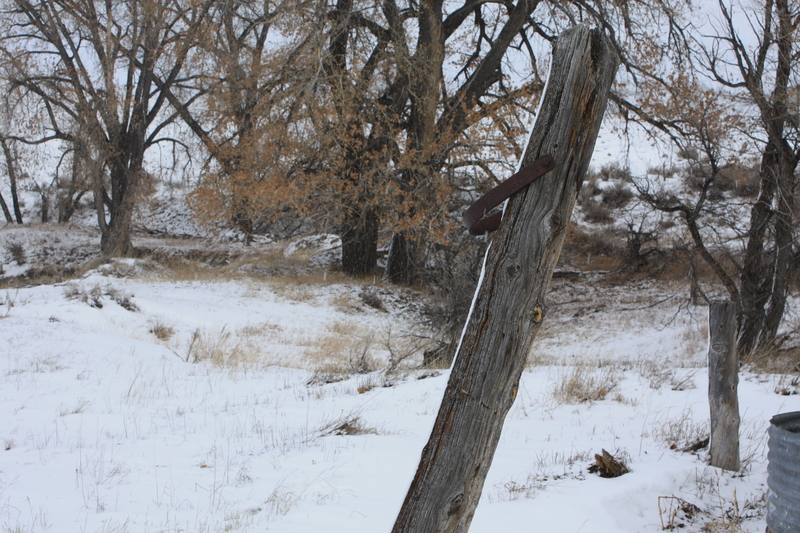 Some have born witness to dugout homes built into the creek banks where nearby seeps provided water for the early settlers; others were planted in the ground to divide the open range for the homesteads and small ranches that formed in the early 1900’s. In the shadow of trees . . . .
As we observe the first day of the New Year 2014, it seems appropriate to look back at the bygone days of life here on Dry Creek. We remember those tough pioneers who came here before us with great fondness, and wonder how they made it through the hardships they had to endure. Our lives are vastly different in many ways, yet remain the same as we follow in their footsteps. This entry was posted in Wonders by bygeorge. Bookmark the permalink.